Ted Cruz wants to run for president in 2016. Sen. Ted Cruz, R-Texas, heads to the weekly Senate Republicans policy luncheon on March 19, 2013, in Washington, D.C.
His supporters argue that he’d be a Barry Goldwater type — a nominee who would rattle the Republican establishment and reconnect the party with its base — but with better electoral results … Cruz gave the keynote speech at the Conservative Political Action Conference, where he was greeted with a raucous reception and praised by Sarah Palin. So we’ve got one figure whose historic presidential loss enabled the Democratic wins of 1964, and thus enabled Medicare; and we’ve got one whose role in the 2008 loss at least partially enabled the passage of Obamacare. I see potential problems with the theory. If the Internet’s really going to talk about this today, someone’s going to point out that Barack Obama, like Cruz, was a silver-tongued, nonwhite senator who ran for president before completing one term. This doesn’t do justice to Obama’s 2005-2007 ramp-up or take into account Obama’s problems as president. In 2005 and 2006, Obama looked for easy wins on legislation that would make him look bipartisan. You can probably rattle them off: He Worked With Tom Coburn on Earmark Transparency, He Worked With Richard Lugar to Track Down Loose Nukes. Obama entered the national consciousness as a “post-partisan” (and post-racial) character with lots of Republican friends. Cruz has done the exact opposite. He’s irritated every Democrat—some, like Dianne Feinstein, he’s irritated at a deep, personal, public level—and he’s swiftly made enemies of Republicans like Lindsey Graham, who hint that the guy has no strategy or tact (at least when it comes to what Graham wants). Republicans tell themselves that their next president need only get 51 senators ready to repeal Obamacare, then sign the repeal bill. 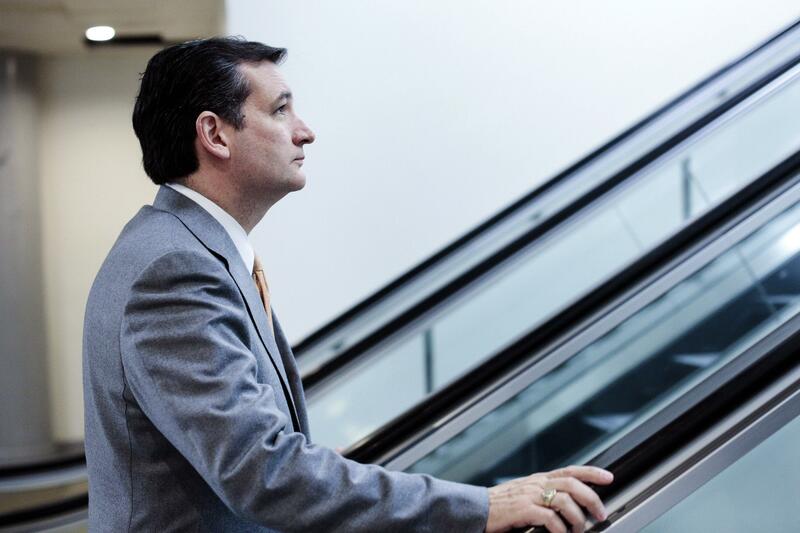 Assuming Cruz could win, how well could he navigate the legislature? Conservatives have a hard theory about 2008 and 2012: They nominated moderates and lost to a radical. But George W. Bush ran as a center-right candidate, twice, and passed his major bills with Democratic buy-in. The people who’d back Cruz believe he could totally alter this paradigm. Good luck, I guess?